Our Crock Pot Chicken Noodle Soup with its rich, deep flavors delivers old fashioned down home taste with modern ease in minutes! Every home chef (Yes. That’s what your are.) 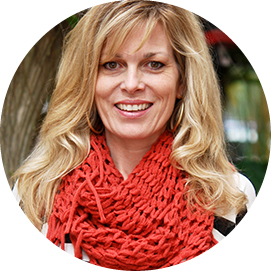 has his or her own homemade recipe for chicken noodle soup. I’m not here to take any glory from yours, but this Crock Pot Chicken Noodle Soup is quick to prep, worry-free, and cooks all day filling your house with the aroma of fresh thyme and bay leaves. So, when you need a chicken noodle soup crock pot fast, this is the one! I think it might even beat my Grandma’s slow cooker chicken noodle soup, and that’s saying a lot! My Crock Pot Chicken Noodle Soup calls for cellentani pasta (the twirly, ridgy ones), so all the wonderful flavors get captured perfectly to make every scrumptious bite a little piece o’heaven! By contrast the Betty Crocker crock pot chicken noodle soup uses with the traditional egg noodle. To make my Crock Pot Chicken Noodle Soup, add all ingredients to the crockpot except the pasta, cook for 8-10 hours on low or 4-6 hours on high. Remove chicken, allow it to cool and shred. Add pasta and cook until just before al dente. Add salt and add back shredded chicken. Top with fresh thyme and parsley. 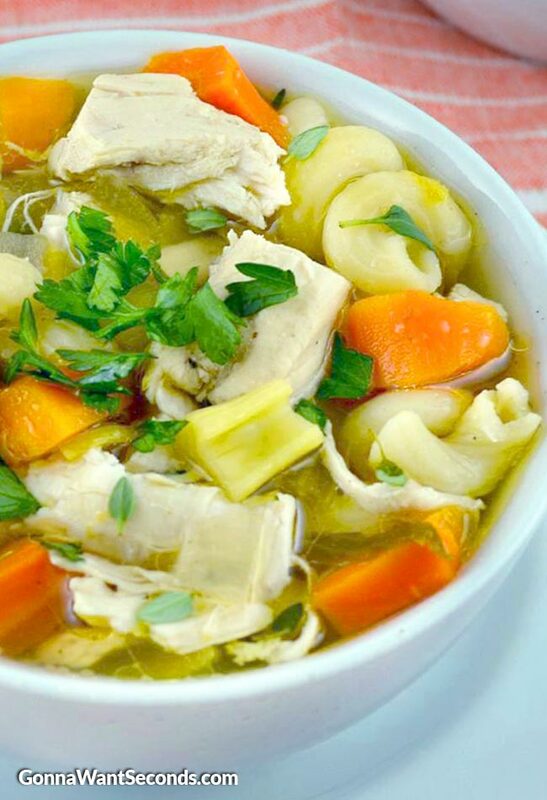 What Ingredients Do You Need to Make Homemade Chicken Noodle Soup? 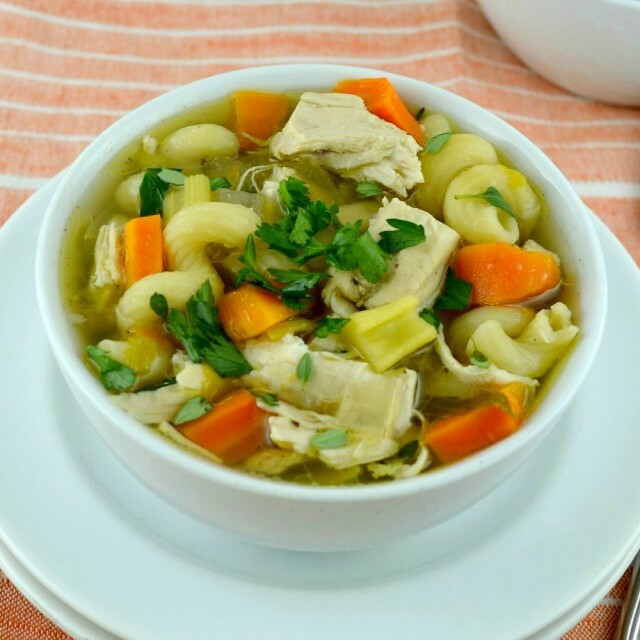 You don’t even have to try to make my crock pot chicken noodle soup healthy, it’s practically there… It’s made with chicken breasts, celery, carrots, and onions, and the recipe has fresh thyme and bay leaves. The soupy part is chicken broth and bouillon. Throw in some poultry seasoning, salt, pepper, and cellentani pasta and there you have it Homemade Chicken Noodle Soup! Super healthy! Oh, and don’t forget to top with fresh parsley and thyme before serving. Are Chicken Noodle Soup Recipes Good For You? As long as you don’t overdo it on the salt and use fresh veggies, Chicken Noodle Soup Recipes are good for you. 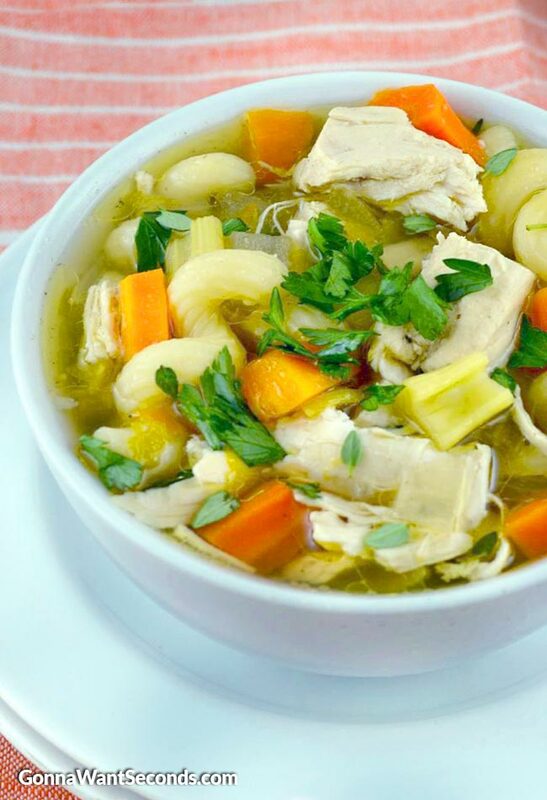 When made with fresh ingredients, homemade chicken noodle soup will give you needed vitamins and minerals. 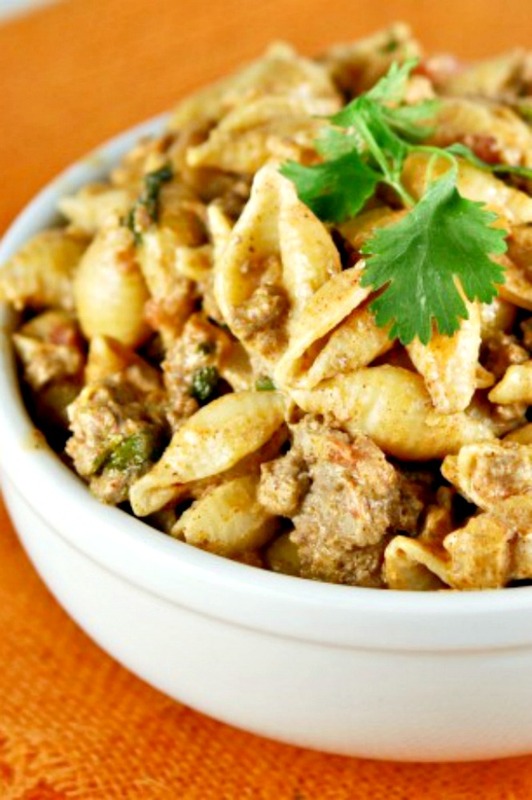 They’re typically low in calories, and if you want even fewer calories, you can simply leave out the noodles. Another way to make it even healthier is to use low-sodium chicken broth or bouillon. How Do You Convert This to Creamy Chicken Noodle Soup? If you want to make this Crock Pot Chicken Noodle Soup creamy-dreamy, you can melt butter in a saucepan, add flour, and cook for 1-2 minutes (whisking constantly), then add milk and stir until thickened. You would complete this step and add to soup at the same time you add the pasta. 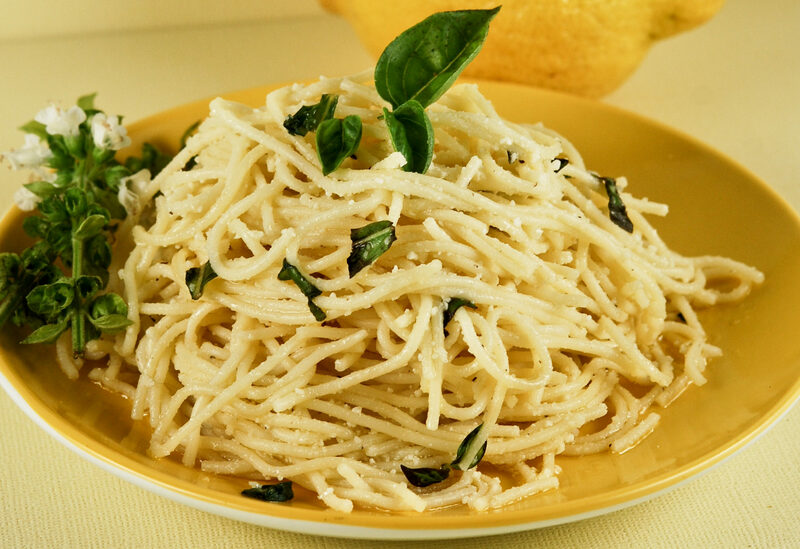 Another way to make the soup creamy is to add some heavy cream at the same time you add the pasta. Either way works just fine, and now you’ve got crockpot creamy chicken noodle soup! What Do You Serve with Chicken Noodle Soup? I am partial to saltine crackers with my Crock Pot Chicken Noodle Soup. That’s just my raisin’! You could also serve it with croutons on top, or with garlic bread. 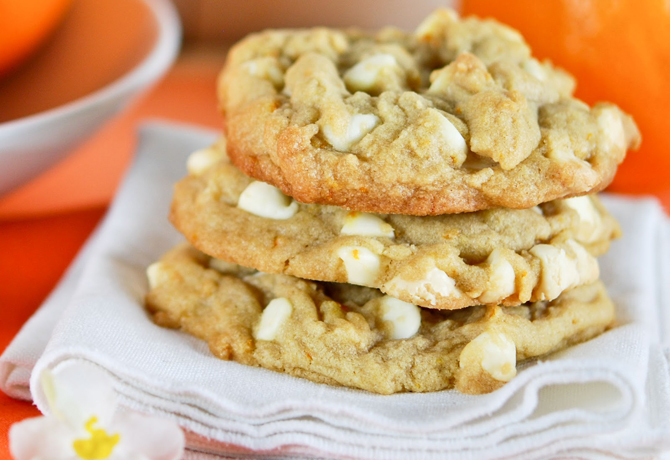 I guess if you wanna get really Southern, you could whip up a batch of biscuits! How Long Does Easy Chicken Noodle Soup Last? Unless you’re feeding quite a few, you’ll probably have some of our Easy Chicken Noodle Soup leftovers. Simply transfer to an airtight container and store in the fridge for no more than 3 days. What is the Best Quick Chicken Noodle Soup Version? Well, I’m gonna go with my Crock Pot Chicken Noodle Soup, go figure! You can make it in less time by cooking it on the stove, but the almost hands-off element of this Quick Chicken Noodle Soup makes it the winner! What is the Best Chicken Noodle Soup Storage? The Best Chicken Noodle Soup around deserves proper preservation, right! As far as soup storage goes, for that matter many of my leftovers… after cooling, I end up portioning it and toss it in freezer grade baggies.Of course there is nothing wrong with freezer-safe containers. Either way don’t leave in the freezer for more than 3 months. Any Other Soups You’d Recommend? Have you tried my Chicken and Rice Soup? This is another easy and healthy soup recipe, but you boil a whole chicken for about an hour before pulling it off the bone and adding it back. Winter may be behind us, but there’s no bad time for this simple, down-home, belly-warming soup. Another one of my favorite soup recipes is my Chicken Tortellini Soup. This soup is definitely not your average chicken noodle soup. Of course, the tortellini sets it apart, but then there’s spinach, red pepper flakes, and Kielbasa sausage! What a winner! Since I’m already tooting my own soup horn, I might as well mention my Chicken Taco Soup. This soup is bursting with Tex-Mex spices and matching vegetables to boot! Diced tomatoes, corn, ranch beans, chicken broth, and salsa round out the body of the soup. 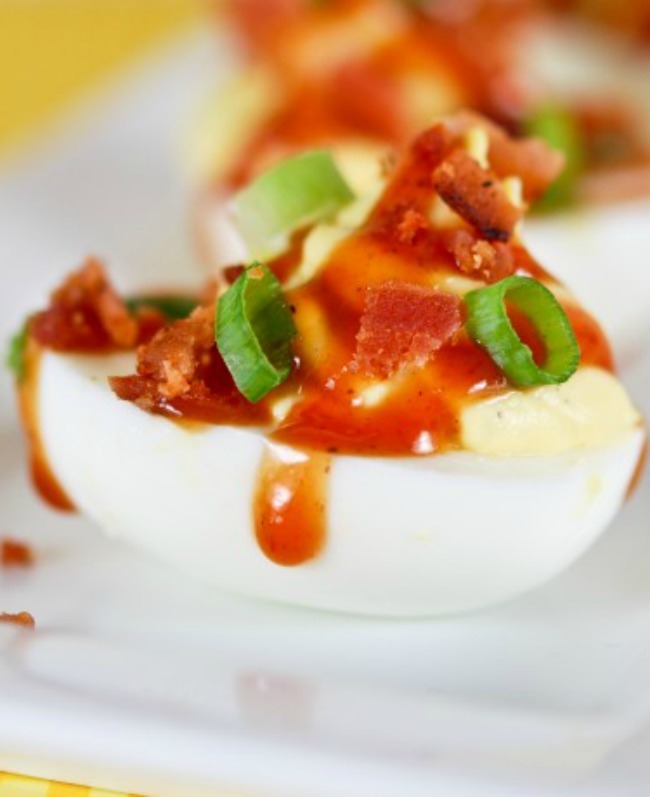 Serve with a variety of toppings like shredded cheese, tortilla chips, sour cream, avocado, or cilantro. Muy delicioso!! Can You Make Rotisserie Chicken Noodle Soup Instead? Heck, yeah!! I don’t see why you couldn’t make crockpot chicken noodle soup with rotisserie chicken! My local grocery store makes their own rotisserie chicken with several different delicious seasoning blends, and they are a quick supper go-to for me. I’ve added them to chicken and dumplings, cold chicken salad, and chicken tacos. So versatile! Truth be known with my busy schedule rotisserie chicken noodle soup is the norm. Make This Soup Even Heartier: You can add potatoes to make crockpot chicken noodle soup with potatoes. Follow instructions for Crock Pot Chicken Noodle Soup, but add potatoes when you add the other vegetables. Make This Soup Even More Homemade: This method adds to the overall prep and cooking time, but you can make slow cooker chicken soup whole chicken instead. Remember how your mama used to make it? Cut up a whole chicken and boil for about an hour ahead of time. Cool and pick the chicken off the bone and add to slow cooker as with Crock Pot Chicken Noodle Soup. 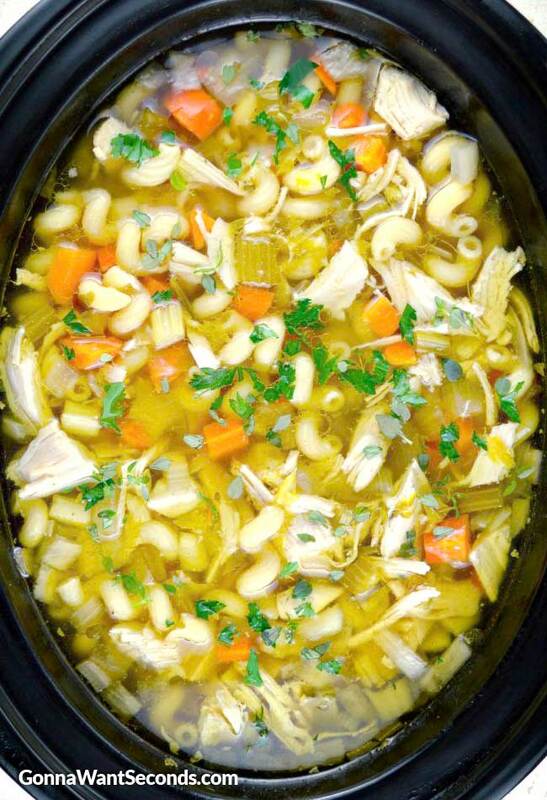 I hope my crock pot chicken noodle soup recipe finds a place in your medicine cabinet. 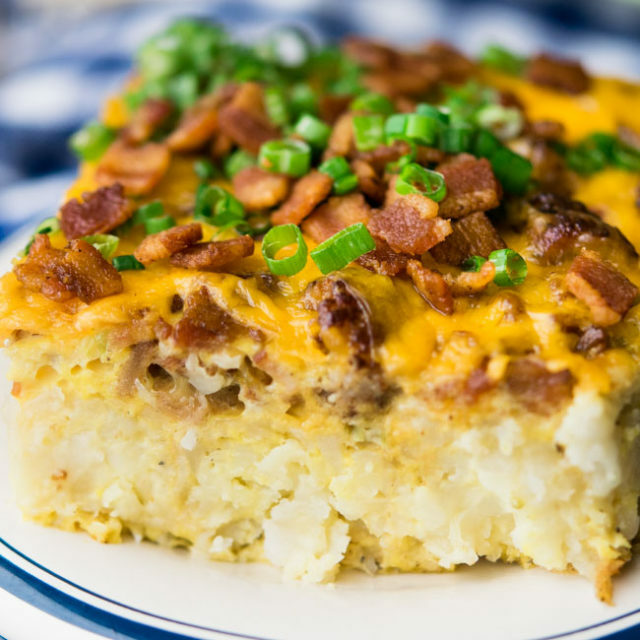 Serve up this family delicious comfort food to your loved ones. 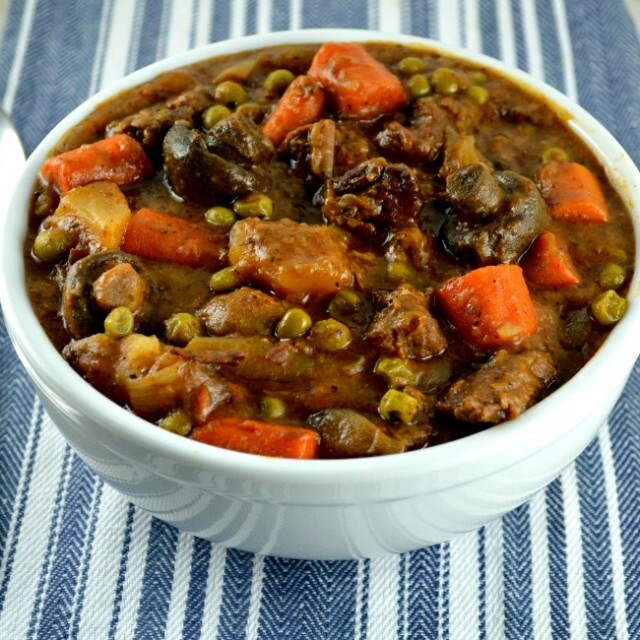 In a large Crock Pot, with a minimum of 6-quart capacity, add all the vegetables, 1/3 a bunch of thyme, bay leaves, poultry seasoning, black pepper, and dissolved Bouillon. Place the chicken breast, skin side down, on top of the vegetables. Add 8 cups of chicken broth. 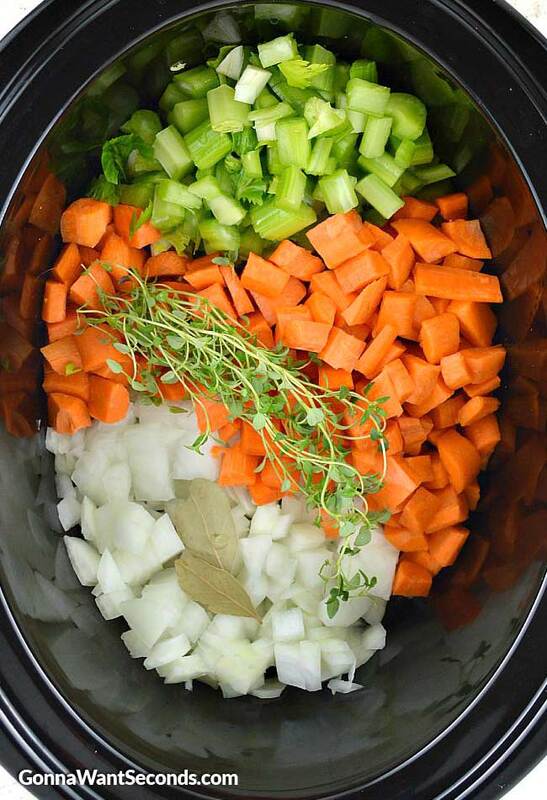 Cover crock pot with lid and cook on low 8-10 hours or on high 4-6 hours. Remove chicken breasts to a plate. When cool enough to handle, remove the skin and bones from the chicken and chop or shred chicken, into bite-size pieces. Discard bay leaves and thyme stems. Add the pasta to the crockpot, cover and cook on high for 15-20 minutes or just a few minutes before pasta reaches al dente. Check seasoning and add salt and pepper to taste. Add the chopped or shredded chicken back to the soup. Thin as needed with extra chicken broth. Top with a 1 tablespoon thyme leaves and chopped parsley and serve. I TRIED YOUR PORK LOIN RECIPE. BEST I EVER HAD. LOVE THE GRAVY. MAKE IT EVERY COUPLE OF WEEKS. WIFE SAYS IT A KEEPER. WHICH MEANS I CAN BE THE COOK.